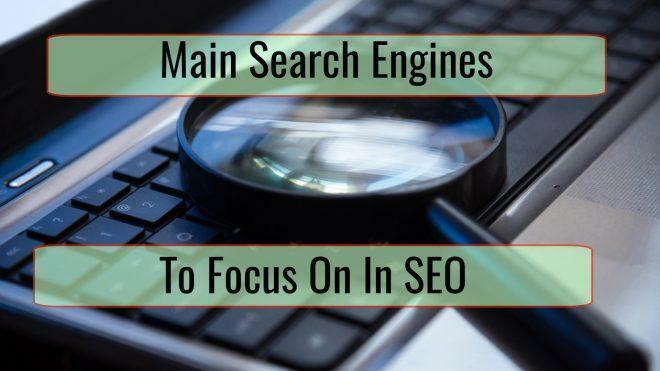 Too many people tend to have tunnel vision when it comes to SEO and only seem to want to focus on the big G. The reality is that while Google holds a significant majority of the search engine market, it could actually pay to give a little more attention to its competitors. Literally billions of searches are conducted every year on these other search engines, and there are many advantages to targeting them more heavily. In this article, we’re going to touch on which competing search engines you should focus on, why you should, and how to do so. An increasing number of people conduct the majority of their web searches through social media, with Facebook being one of the most used search engines. Facebook is not only a place people go to congregate with friends and participate in discussions; it’s also a great place for marketers trying to advertise their products and services. One area where Facebook is very beneficial is the entertainment industry. Facebook is also a place where many users conduct searches on different products and search for reviews. Others will browse Facebook to look at a certain business’s opening hours or to look for different coupons and promos, which makes it a very powerful search engine for local businesses. However, ranking in Facebook is not always an easy task with over 1 billion searches being conducted there every day. But there are some things that you can do to increase your chances of being found and ranking well. The first thing you should do is make sure that you name your group or page properly. Both Facebook and Google will see the first words in your page’s name as more important, so always make sure that it is as specific as possible. If someone already has a page with the same name, make sure that you add the word “official” to yours to make sure they know it’s you. And if you’re operating a franchise, try to include the branch name or location in the title as well. You should also make sure that your use the customized url option and remove the number sequence at the end of your url to only show your business name. Also, try to use the areas where you can naturally include keywords to optimize your page, like your mission, description and About Us section. While Bing was seen by many as a non-factor when it was launched, it has steadily gained market shares ever since. Bing now controls over 20% of search engine market shares, which is the highest since its inception. One of the many factors that explain Bing’s rising popularity is the sheer number of hardware devices and software Microsoft sells every year, which all come preloaded with Bing as the default search engine. AOL also recently announced that they were going to drop Google as their official search engine and make the switch to Bing. Another reason why more people should be paying Bing attention is the simplicity of their algorithm. While Bing is still a very good search engine, they do not go near the same extent as far as adjusting their algorithm, making theirs much easier to figure out and predict. Keywords, for instance, still hold a lot of weight with Bing rankings while Google has tried everything in their power to reduce their influence and favor other user-oriented ranking criteria. Also, Bing usage is much more concentrated in certain areas, and depending on where you live, people in your region might actually be conducting more searches on Bing than Google, like in the rust belt for instance. So how can you rank on Bing? By putting more emphasis on classic SEO factors like on page optimization, technical SEO and keywords. Meta keywords, which are almost obsolete as a ranking method in Google, are still very relevant with Bing, and making sure that you have the proper meta tags is essential. But you have to make sure to use tags that are actually relevant to your niche, and that include misspellings. And forget about LSI keywords when it comes to Bing. The more specific you are with your keywords, the better, which makes keyword research much simpler. This also means that your keywords should be featured in your H1 and H2 title tags since Bing still puts a lot of importance in these. If you’re into ecommerce, then you also have to work on making sure that your listings perform well in Amazon’s search engine. While there was a time when shoppers would first start looking for products through Google and other search engines, the tide has turned in recent years and Amazon is slowly but surely becoming the Google of ecommerce. There again, choosing the right title for your products is extremely important and plays a huge role on how your products will rank. However, the main goal should remain to identify the product and its features, not stuff keywords in, as many people mistakenly do. Remember, the goal here is still to optimize for human eyes, not bots. Your title should contain information about the brand, model, key ingredient or material, color, quantity and size. And when it comes to the search terms section, be careful not to stuff keywords here as well since it could actually end up affecting your rankings negatively. Make sure that you maximize each section and use as many of the 50 characters as possible, but only use words that are highly relevant to your product. Do not repeat keywords and do not use misspellings either. Also, make sure that you use the right pictures for your product. 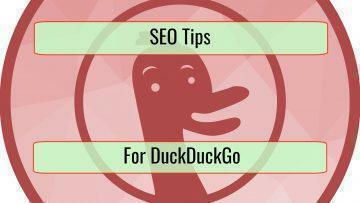 While it won’t affect your SEO per se, you still want the picture to be accurate. For instance, if you’re selling an item in multiple colors, you want to use the proper color for the picture so you don’t throw off your visitors. There’s a whole world of search engines out there and choosing the right ones and targeting them correctly could have a significant impact on your site’s traffic. So, make sure that you do not neglect alternative search engines and learn everything there is to know about them so you can use them to your advantage.